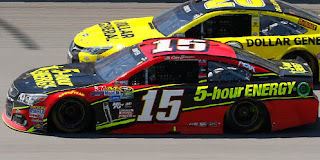 Clint Bowyer picked up the 6th last-place finish of his NASCAR Sprint Cup Series career in Sunday’s Pure Michigan 400 at the Michigan International Speedway when his #15 5-Hour Energy Chevrolet finished under power, 40 laps down out of 200. The finish, which came in Bowyer’s 385th series start, was his second of the year and first since Sonoma, eight races ago. Bowyer finished 9th the Saturday after his electrical fire at Sonoma, but his fortunes have hardly changed since. Between then and Sunday, his best finish was an 18th at Watkins Glen, leaving him a distant 25th in points. On the heels of Saturday’s announcement that he would run a Benny Parsons tribute car next Sunday at Darlington, Bowyer looked for a turn around at Michigan, where he finished 23rd in June. Bowyer ran 29th-fastest in the opening practice, qualified 27th with a speed of 198.129mph, and on Saturday put up the 23rd and 25th-fastest laps. Starting 40th on Sunday was Jeffrey Earnhardt, who had a difficult start to his weekend after crashing hard in Friday’s practice. The team rolled out their backup, a completely non-decaled Ford with flat gray primer, and prepared the car in just five hours. In place of the bright green-and-black scheme of the primary, Earnhardt would run a white car with yellow numbers on the doors for Sunday. He was joined at the rear by a much happier Michael McDowell, fresh off his win at Road America the previous day. McDowell’s #95 Thrivent Financial Chevrolet was sent to the rear as Sam Hornish, Jr. had practiced and qualified the car while he was away. 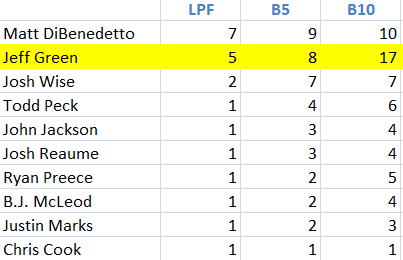 Earnhardt held 40th on the opening lap, but the next time by was joined by a dropping Chris Buescher. Buescher, winner at Pocono at August, looked to nurse his #34 Dockside Logistics Ford to a solid finish and secure his Top 30 points position needed to qualify for the Chase. What he did not need was an apparent broken spark plug that made his engine sound flat in the opening laps. Buescher fell behind Earnhardt on Lap 2, re-passed Earnhardt on Lap 6, and barely stayed on the lead lap when the competition caution fell on Lap 22. Buescher’s team raised the hood and began to replace spark plug wires, leaving him on pit road when the race restarted. Fortunately, he was saved from going more than 2 circuits down when Kyle Busch spun on Lap 27. Unfortunately, Buescher would flirt with 40th for the rest of the afternoon. Buescher re-took 40th from Earnhardt during caution-flag pit stops on Lap 24, then went a third lap down by Lap 46. On Lap 61, Alex Bowman, back in relief of Dale Earnhardt, Jr. after Jeff Gordon had a previous commitment, pulled behind the wall in the #88 Axalta / University of Michigan Chevrolet. 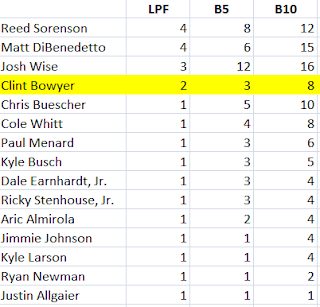 Bowman had started 6th, but like Buescher found himself fading back with a wrong-sounding engine. The team reset Bowman’s ECU and got him back out on Lap 64, four laps down and in the 40th spot. Buescher again took the spot on Lap 87, lost a fifth lap by Lap 96, and was passed for 40th by Josh Wise’s #30 Curtis Key Plumbing Chevrolet on Lap 110. On Lap 120, Buescher again regained the spot from Wise and appeared set to remain there when trouble broke out one final time. In the final quarter-distance of the race, Bowyer was among the many drivers lapped by the leaders. Bowyer pitted his #15, then returned with what he thought was a loose wheel. Back in the tri-oval, however, he slowed with what appeared to be a problem in the drive train. Under the ensuing caution for debris, Bowyer pulled behind the wall, apparently done for the day, dropping him to last on Lap 126. Somehow, the HScott Motorsports team got the #15 back on track, 39 laps down, and he lost one more by race’s end. With just under 20 laps to go, Landon Cassill’s #38 MDS Transport Ford started smoking going into Turn 3 and pulled into the garage. 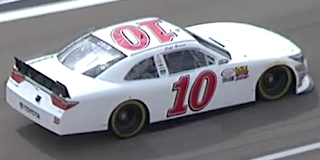 Suspension issues ended Cassill’s race, but there weren’t enough laps to drop him beneath 39th. Thus, Bowyer still on track secured his second last-place run of 2016. Behind Bowyer and Cassill were 38th-place Wise and 37th-place Earnhardt, who both wound up eight laps behind. 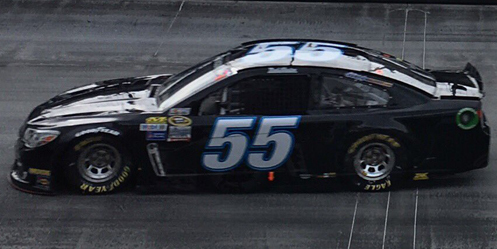 Rounding out the Bottom Five was Reed Sorenson, whose #55 Vydox Plus Chevrolet ended up seven laps behind the leaders. Completing a weekend of first-time winners was Kyle Larson, who scored his first Cup victory in his 99th series start. Larson scored his first last-place finish at the Michigan track in 2014 and also crashed out at the sister track in Fontana this past spring. Congratulations to Larson for bringing a Cup victory to Northern California. *This marked the first time the #15 finished last in a Cup race at Michigan since June 17, 1984, when Ricky Rudd’s Wrangler Jeans Ford lost an engine after 41 laps of the Miller High Life 400. The finish was the 4th of Rudd’s career and his first in nearly three years. Bowyer had never before finished last in a Cup race at this track. 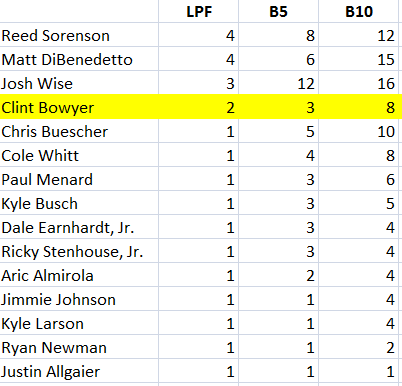 *The 160 laps completed by Bowyer are the most of any Cup Series last-placer at Michigan. The previous record of 159 was set on June 13, 1999, when Jimmy Spencer’s #23 Winston / No Bull Ford lost the engine during the Kmart 400 presented by Castrol Super Clean. Spencer was the only DNF in the caution-free race won by Dale Jarrett. On August 16, 1987, Cale Yarborough picked up the 17th last-place finish of his NASCAR Winston Cup Series career in the Champion Spark Plug 400 at the Michigan International Speedway when his #29 Hardee’s Oldsmobile fell out with a blown engine after 22 of 200 laps. The last-place finish, which came in Yarborough’s 545th start, was his second of the season and the last of his career. 1987 marked Yarborough’s 30th season on the Cup tour, entering the year as one of the sport’s most experienced veterans. He started his first race when he was only 18, coming home 42nd in a field of 50 for the eighth annual Southern 500 at Darlington. He’d have to wait until June 27, 1965 to take his first checkered flag, besting the field by three laps at Georgia’s tiny Valdosta 75 Speedway. But once he signed with the Wood Brothers, then Junior Johnson, he was never far from victory lane. From 1967 through 1985, Yarborough scored another 82 victories, including a pair of 10-win seasons in 1974 and 1978. The ‘78 campaign capped an unprecedented streak of championship dominance where he became the first driver to score three consecutive titles, a feat unmatched until 2008 by Jimmie Johnson. He won four Daytona 500s, becoming just the second driver to win them in consecutive years in 1983 and 1984, racked-up a season-record 14 poles in 1980, and took five checkered flags in the Southern 500 between 1968 to 1982. Yarborough’s longevity was largely due to his tenacious driving style, which also accounted for his number of last-place finishes. Four times, he led laps early before engine failures or crashes left him at the back of the pack. Eight times, he’d finished last after starting in the Top 10. He’d also scaled-back to a partial schedule in 1981, when he signed with M.C. Anderson to drive the #27 Valvoline Buick, and ran 16 of the 29 races each year after, preferring the larger speedways of Daytona, Atlanta, Rockingham, Darlington, Charlotte, Pocono, Talladega, and Michigan. Throughout his career, Yarborough won no fewer than twice at each track, accounting for 44 of his 83 career wins. 1987 was also a big year for Yarborough, who became an owner-driver for the first time in his career. 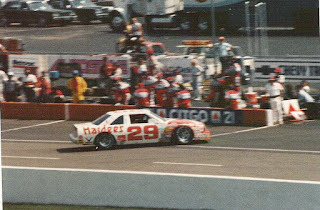 The familiar red-and-white Hardee’s Chevrolets and Fords he’d driven for Harry Ranier since 1983 had become his trademark, and he brought the sponsor and paint scheme with him to Cale Yarborough Motorsports. For ‘87, the veteran would run a #29 Oldsmobile in place of Ranier’s #28, and again run his 16-race scheduled on NASCAR’s larger tracks. He began the year strong, finishing 10th in the Daytona 500, and by summer earned a 4th at Pocono and a 5th at Talladega, but he was still searching for an 84th win. The 1986 season, his last with Ranier, was Yarborough’s first without a win since 1972. As the series rolled into Michigan, where Yarborough had won eight times previous, he looked for a turnaround. His #29 had managed just 33rd there in June, sidelined by brake issues. Winning the pole that weekend at Michigan was rookie driver Davey Allison, who took the controls of Yarborough’s old Ranier ride. 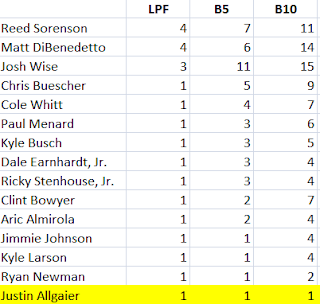 It was already the third career pole for Allison, who had also claimed his first two victories at Talladega and Dover. “Psychologically, the pole is worth a lot,” said Allison in an interview with the Gadsden Times, “It gives our team a lot of confidence because we’re not a team that tricks things up for qualifying. When we put our car on the pole, it’s on the polein race st-up and we know we’re going to be all right on race day.” Allison’s #28 Havoline Ford put up a lap of 170.705mph. Yarborough could only manage 32nd. Nine drivers failed to qualify for the Champion Spark Plug 400, including Texas owner-driver H.B. Bailey, who made 12 starts at the two-mile track, Jocko Maggiacomo, and Eddie Bierschwale. Also sent home was 34-year-old Tennessee native Rickey Hood, whose only two Cup attempts were both 1987 races at Michigan in the #38 Solar Sources Ford. Starting last on Sunday was Greg Sacks, who after DiGard Racing closed now drove the #50 Valvoline Pontiac for the Dingman Brothers. Two years after his lone Cup win at Daytona, Sacks was also attempting the same 16-race superspeedway schedule as Yarborough, but had faced even greater struggles. Coming into Michigan, he’d run no better than 20th and failed to finish seven of his ten starts. 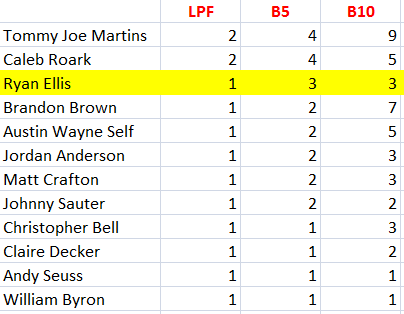 Ironically, this day at the races would see Sacks earn a season-best run of 19th, two laps down to race winner Bill Elliott. Yarborough, however, would be out early with engine trouble. Engine troubles accounted for four of the DNFs in the Bottom Five. Three laps after Yarborough’s exit, Dale Jarrett, 84 points behind Allison in the Rookie of the Year standings, lost the motor on Eric Freedlander’s #18 Chevrolet. Next was Derrike Cope, less than three years from his Daytona 500 victory, whose #19 Stoke Racing Ford fell out after 43 laps. 37th went to owner-driver Jimmy Means, his #52 Eureka Vacuum Cleaners Chevrolet knocked-out by engine woes after 65 laps. A transmission failure rounded out the Bottom Five when New York driver Charlie Rudolph’s #04 Sunoco Chevrolet retired after 68 laps. It was Rudolph’s fourth and final Cup start. That day at Michigan also marked the 185th and final Cup start for Tim Richmond. The third-place points man from the previous season was fast becoming one of the best drivers on the circuit when he was unexpectedly sidelined for the first part of the 1987 season. Weakened by what was originally called “double-pneumonia,” Richmond returned to the series in June and won back-to-back races at Riverside and Pocono. But by Michigan, his condition had worsened, so much so that he had to be carried by golf cart to the qualifying line. He started 25th in his #25 Folger’s Coffee Chevrolet, but ended up 29th after a blown engine with 51 laps to go. Two weeks later, Hendrick Motorsports issued a statement that, due to a “nagging cold,” Richmond wouldn’t return to defend his victory in the 1986 Southern 500. Less than two years later, the 34-year-old succumbed to AIDS. In 1988, Yarborough would start to put Dale Jarrett in his #29 for a handful of races. 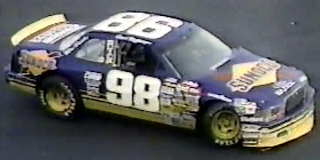 Jarrett’s best run of 1988 came in Yarborough’s car at Riverside, where he came home 8th. Yarborough made his final Cup start at Atlanta, going out with a 10th-place finish, the 319th Top Ten of his career. Now the team’s full-time driver, Jarrett earned a pair of 5th-place runs at Martinsville and Phoenix in 1989. Yarborough remained active as a team owner through the 1999 season, scoring a lone Cup win in the 1997 Pepsi 400 at Daytona with driver John Andretti. His final driver, Rick Mast, ran the entire ‘99 season without a single DNF. *This marked Yarborough’s first and only last-place finish in a Cup race at Michigan, a track where he won eight times in 36 starts. *It was also the first - and so far, only - last-place finish for the #29 in a Cup race at Michigan. 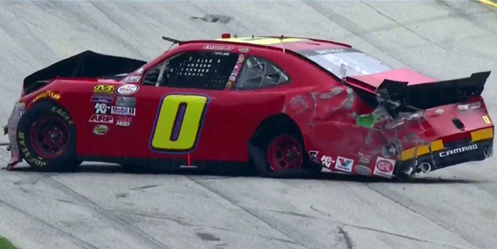 The number hasn’t trailed a Cup race since September 15, 1996, when Chad Little’s Cartoon Network Chevrolet crashed after 3 laps of the MBNA 500 at Dover. 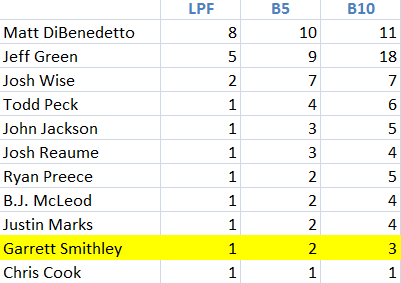 For the first time all season, Premium Motorsports’ second team finished tops among the four Open teams, and did so by a wide margin - seven spots ahead of his teammate Cole Whitt. Sorenson, Whitt, and Josh Wise all lost a lap before the rains came on Saturday night, but Sorenson managed to avoid an extended stay in the garage area on Sunday, putting him ahead of 10 chartered teams. It also tied Sorenson’s second-best finish of the year at Kentucky in June. Next week, Sorenson returns to Michigan, where in June he finished 31st driving Whitt’s #98. Cole Whitt’s #98 was once again covered in an array of sponsor, highlighted by Carolina Skiff, which ran as a primary for the first time in 2016. Unfortunately, trouble under the hood forced Whitt to spend 51 laps in the garage area starting around the 172nd circuit, dropping him to last around Lap 210. 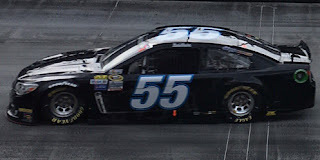 The Premium Motorsports team did manage to get Whitt back into competition, and he leaped six spots in the second half of the race. Whitt heads to Michigan looking to back-up his 27th-place run in June. Clad in the colors of Virginia Tech, Ryan Blaney once again showed speed, and just as in the spring ran as high as 2nd during the opening green-flag run on Sunday afternoon. After the first round of pit stops under the competition caution, however, Blaney never ran quite that close to the front, leaving him in the wrong place at the wrong time. On Lap 373, Blaney checked-up as cars wrecked in front of him on the frontstretch, only to find Matt Kenseth’s Toyota spinning sideways directly in his path. 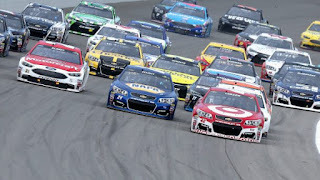 The two cars collided, taking Kenseth out of the race and forcing the Wood Brothers to spend more than 60 laps in the garage. In the end, Whitt nipped Blaney for 34th by five laps. When the Cup Series last raced at Michigan in June, Blaney started 5th and came home 17th. Rounding out the Open teams was Josh Wise, who started last and held 40th for much of the day after several trips to the garage area. Had the attrition of the final 200 laps not happened, Wise would have secured his 4th last-place finish of the year. But, like his competitors, The Motorsports Group kept their driver on the track, and he finished 84 laps down, ranking him ahead of Matt Kenseth, Kurt Busch, Kyle Busch, and last-placer Justin Allgaier. Michigan saw Wise finish 30th in June. 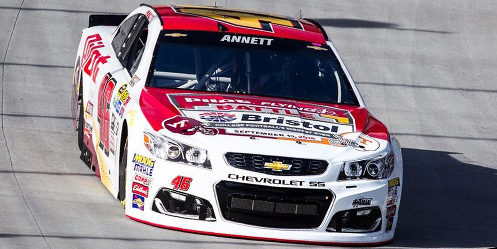 None of the other part-time Open teams attempted the race in Bristol. Jeff Green picked up the 88th last-place finish of his NASCAR XFINITY Series career in Saturday’s Mid-Ohio Challenge at the Mid-Ohio Sports Car Course when his unsponsored #10 TriStar Motorsports Toyota fell out with rear gear issues after he completed 2 of 75 laps. The finish, which came in Green’s 439th series start, was his fifth of the season and first since Talladega, 12 races ago. Mid-Ohio marked Green’s only second start in the #10 since Talladega, a move which occurred after the National Arthritis Foundation came aboard to sponsor his previous TriStar ride, #14, with Tomy Drissi at Watkins Glen. Drissi didn’t enter the Mid-Ohio race, but Green remained in the #10 once more with Mike Bliss taking the controls of the #14. Bliss and Green were among the 41 drivers on the preliminary entry list, but on Thursday when Morgan Shepherd withdrew his #89 for the second-straight week, the remaining 40 drivers were guaranteed starting spots in Saturday’s race. All carried decals on the A-pillar in honor of former Chip Ganassi development driver Bryan Clauson, who passed away late last Sunday after he wrecked while leading a USAC midget race in Kansas. Green ran 27th in Friday’s opening practice session, did not participate in Happy Hour, then secured the 25th starting spot with a lap of 93.423 mph. Starting 40th on Saturday was owner-driver Mario Gosselin, who this week took the controls of his second team car, the #92 BuckedUp Apparel Chevrolet. Gosselin was originally set to drive his team’s primary #90, but when rain threatened, he decided on Wednesday to hand the controls over to someone more experienced running on wet-weather tires. Gosselin was joined at the rear by seven drivers sent to the back for unapproved adjustments, including Ty Dillon, whose team needed to repair a leaking rear gear on the #3 WESCO Chevrolet. Gosselin held 40th until the rain dampened the track on Lap 3, drawing the first caution of the day. By then, Green had slipped back to join Gosselin in 39th, and pulled down pit road, done for the day. Gosselin pulled off-track a lap later, then returned to pit road to help the #90 team the rest of the afternoon. Green and the Canadian Gosselin trailed a multi-national Bottom Five which included drivers from four countries. 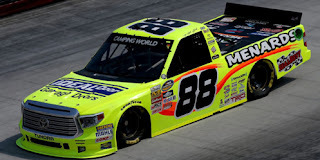 38th went to Brazilian driver Nelson Piquet, Jr., whose first XFINITY start in three years ended when his #98 DenBeste Water Solutions / Carroll Shelby Co. Ford struck a spinning Erik Jones on a Lap 32 restart. 37th fell to road racer Tim Cowen, whose first start of the year in Carl Long’s #13 Cowen Logistics Ford ended when he slid off-course with Australian Kenny Habul on Lap 57. Habul’s #88 Sun Energy 1 Chevrolet was also done for the day. In addition to a surprising first victory for road racer and Dover last-placer Justin Marks, two smaller teams turned heads on the wet track. The first was 7th-place finisher Andy Lally, who on Wednesday was called away from a street luge competition to run King Autosport’s #90 3Dimensional.com Chevrolet. Lally led three laps on Saturday, having twice rallied to the front of the field both on wet and dry tires, and recovered from a mid-race spin after contact from Erik Jones. The run, Lally’s third top-ten finish, tied his best career XFINITY Series finish at Road America in 2014, when he came home 7th for Bobby Dotter. It was also the best XFINITY Series finish for Gosselin’s team King Autosport, which until Saturday had finished no better than 20th all season. The team’s previous-best finish in the series was 15th in the 2015 Daytona opener. Across NASCAR’s top three divisions, Gosselin himself finished a team-best 6th in the Truck Series race at Talladega on October 31, 2009. The other was Israeli road racer and NASCAR Next member Alon Day, who finished 13th. Last year’s runner-up to Ander Vilariño in the NASCAR Whelen Euro Series’ Elite 1 division, Day stormed to three of the season’s final four wins, including a weekend sweep at Circuit Zolder in Belgium. 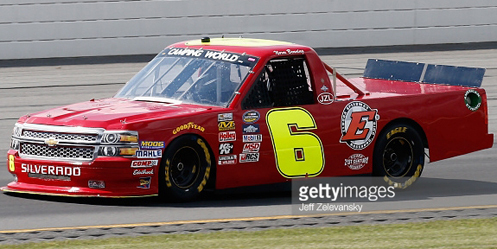 The run earned Day a two-race ride with Carl Long’s team Motorsports Business Management (MBM). Running MBM’s old #40 FLWaterfront.com Dodge, Day stormed from 22nd on the grid to 3rd on Lap 11 and also had to recover from an off-track excursion that was not of his own making, his #40 clipped by the spinning Kenny Habul around Lap 41. In his first-ever start in NASCAR’s top three divisions, Day gave MBM its best-ever XFINITY finish in a combined 106 starts since 2014, besting the previous mark of 19th set by Stanton Barrett last week at Watkins Glen. Day is slated to return to the XFINITY Series at Road America in two weeks. The morning of August 11, 1991 was mild for a late-summer day, just seventy degrees at its warmest. A gentle breeze blew across the front stretch, fluttering the row of flags above pit road. By noon, the dark, foreboding clouds that brought so much rain the day before were still there, blanketing the sky in a quilt of greys and whites. Even so, there was only a thirty percent chance of showers hitting the track, and they weren’t expected until early evening. With the green flag scheduled for 1:10 P.M., the race would be over by then. Ernie Irvan looked forward to the start. After his win in the season-opening Daytona 500, the hard-scrabble driver from Modesto, California had plenty of fans in the stands, but not many in the garage area. His aggressive driving style sparked a series of multi-car accidents as his butterscotch-colored No. 4 Kodak Film Chevrolet raced for the lead, including an 8-car wreck at Pocono and a 12-car pileup at Darlington that critically injured veteran Neil Bonnett. One week after the Pocono wreck, during the driver’s meeting for the DieHard 500 at Talladega, Irvan made a public apology to his fellow competitors. “I want to earn everybody’s respect back,” he said, “I want to be liked in the garage area, and I’d appreciate it if you guys gave me a shot at it.” Most in attendance clapped politely - except Rusty Wallace. Thus, to Irvan’s certain relief, he wasn’t the talk of the driver’s meeting. Instead, everyone was talking about J.D. McDuffie and his win the night before at Shangri-La Speedway. The outspoken Irvan couldn’t help but give the veteran a good-natured ribbing. “J.D., you smoked ‘em last night, didn’t you?” he said. “You’ve been holding out on us all these years!” McDuffie, wearing a navy Son’s Auto Supply shirt, jeans, and his Rumple Furniture cap, only laughed. Irvan knew McDuffie’s struggle too well. In 1982, the Californian was a virtual unknown in NASCAR, a local racer who brought what his trailer could carry to North Carolina to make his name on the national circuit. 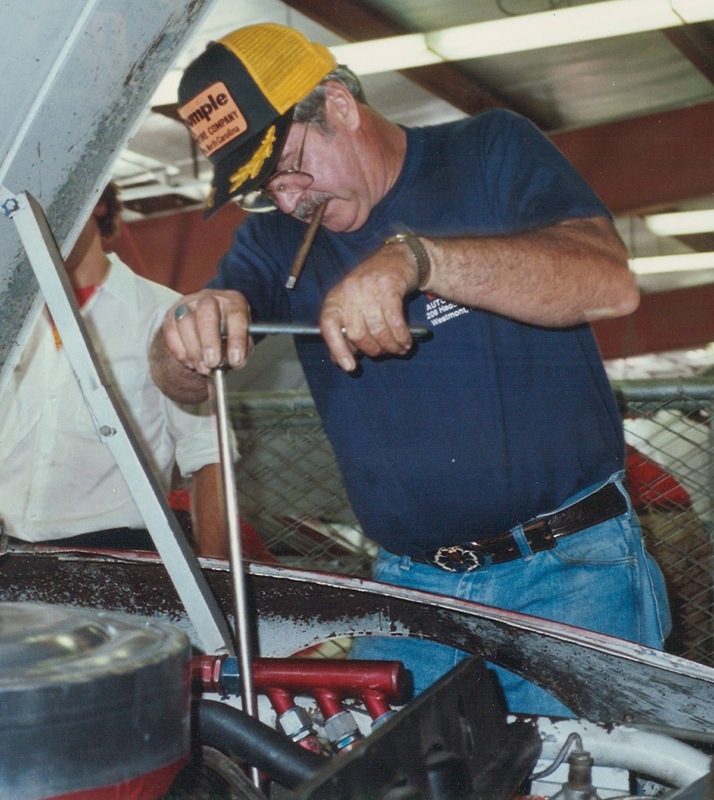 He’d worked odd jobs for years as a welder and fabricator, earning just enough to run late models at the Concord Speedway. 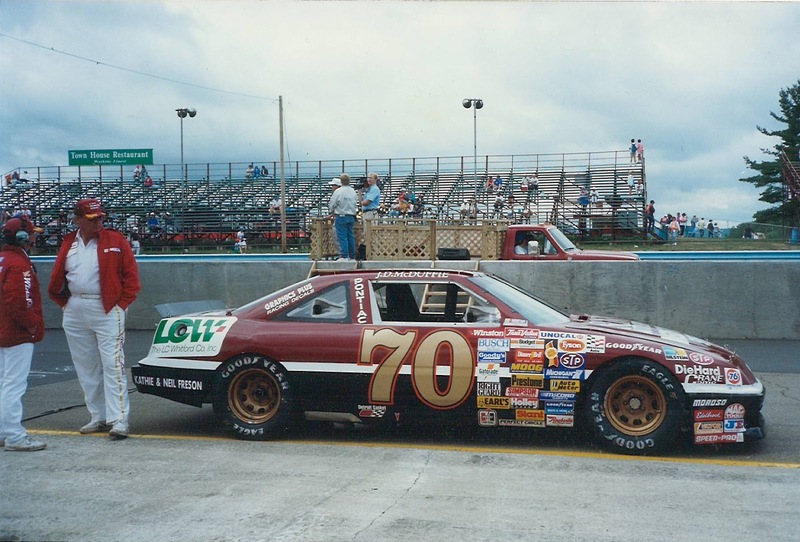 It wasn’t until 1987 that Irvan made his Cup debut with car owner Marc Reno, and for another three years, he ran near the back with limited sponsorship. The fast No. 4 had been his for barely over a year. Perhaps for this reason, his Morgan-McClure Motorsports team lent McDuffie the set of tires No. 70 practiced with on Saturday. There wasn’t much left to do to the No. 70 that morning, so the McDuffie Racing team went over the car one more time. By 9:30 A.M., the fluids had been checked, the brakes had been bled, and the wheel studs were lubricated. The crew also waxed the car, tightened the wheel nuts, and installed a new radio. Don Owens moved an air duct on the right side of the car. The steering was one of the few parts McDuffie always instructed the crew to leave alone. So Mike Demers stepped back and took a picture of McDuffie himself using a long socket wrench to tighten the nut on the end of the outer tie rod. The driver also made a mount for the rear view mirror to keep it from vibrating during the race. Six crew members wearing L.C. Whitford Co. trucker hats and t-shirts pushed No. 70 to the gas pumps and filled the 22-gallon tank. Then they steered it to the inspection queue where NASCAR officials performed a visual check of the carburetor, manifold, fuel cell, and tires. Despite its older body and chassis, the car fit all NASCAR’s templates for a 1991 Pontiac Grand Prix and weighed a proper 3,500 pounds. At 10:00 A.M., the crew pushed the No. 70 onto pit road - the first car out. As fans took pictures of the car, the crew set up their gear in pit stall No. 5, between the No. 24 Team III Racing crew for “road ringer” Dorsey Schroeder and Junior Johnson’s No. 11 Budweiser Ford for local hero Geoffrey Bodine. The crew had tires mounted and ready to go. There would be no rolling around today. On McDuffie’s way out to join the rest of the crew, he met with another photographer, Charles Berch. Berch, publisher of the Instant Replay Sporting Photo News based out of Dundee, New York, also volunteered his time doing publicity work for McDuffie Racing. A year earlier at Watkins Glen, No. 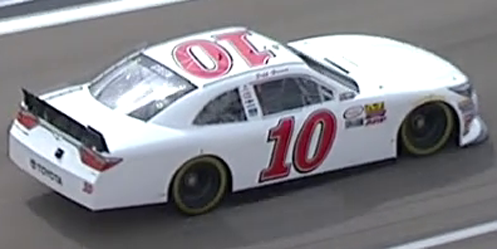 70 carried Instant Replay’s logo behind the rear tires, helping the paper through its second year in operation. As the two met, Berch had McDuffie stand next to fellow drivers Dave Marcis and Richard Petty. On July 14, 1971, the three drivers finished in that order at the Albany-Saratoga 250 a race on a third-mile paved track in Malta, New York, 233 miles east of Watkins Glen. McDuffie’s third-place finish that day was his career-best. Berch then worked his way toward his spot for the day on the inside of Turn 5. McDuffie and Mike Demers walked out to the grid, where other cars now joined No. 70, lined up two-by-two. On the way, a fan named Gary Westfall handed Demers a hat over the fence. Gary asked for McDuffie to sign it and make it out to his wife Kathy. McDuffie obliged, signing it in black pen. He handed it back to Demers, who gave it to Gary. McDuffie accidentally spelled his wife’s name “Cathy.” She didn’t care. She clutched the hat tightly as she and her husband took their position at their infield camper, the one with the big “Go J.D., No. 70” sign on one side. Demers said “Thanks, J.D., I’ll talk to you later” and grabbed his radio - it was his turn to be crew chief. Ed Peters, the L.C. Whitford employee on the crew, served as the front tire changer. He helped McDuffie climb into No. 70 on pit road. “I told him to run 100 (miles per hour) and win the race for us,” he recalled. Once inside, the driver found his glasses which he lost at Pocono three weeks earlier. They were wedged beneath his seat. Within view of No. 70, another McDuffie banner appeared from the stands on the other side of the track. Chico Reyes, the jack man, stuck his head in the window. McDuffie pulled his hair. The two laughed. “He pulled my hair, every race,” said Reyes, a friend of McDuffie’s son Jeff. “It was a tradition. It was kind of like we’d put the window-net up and shove my head in there and he’d pull my hair and off he’d go. He did it the night we won at Shangri-La.” Ed and Chico were among the thirteen men and women on hand to pit No. 70. Marty Burke spoke to McDuffie one more time, going over their strategy for the race: take it easy the first few laps, then in the final stages pick our way up to the Top 20, maybe even a Top 15. This was no mere boasting. McDuffie had often performed well on road courses. In 1986, he was running 9th in the late stages of a race at Riverside when Tim Richmond spun him out. This car was even better than that one. “It was the most prepared we’d ever been for a race,” said Burke. Then came the command to fire engines. With James Taylor’s “Traffic Jam” played over old racing footage, ESPN’s television broadcast kicked off just before 1 P.M. The 40 starters idled on the grid, waiting for the signal from officials to enter the course. 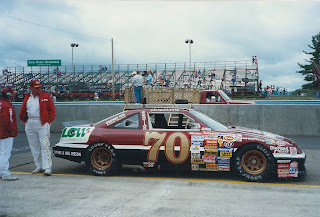 Reporting from pit road, Dr. Jerry Punch summed up a weekend of “Injured Stars and Injured Cars.” He stood behind Dave Marcis’ Darlington car as it warmed up in 20th, then moved one row back to point to the repairs made on Ricky Rudd’s Chevrolet. In the garage area, fellow pit reporter John Kernan continued to discuss the challenges of Goodyear’s new radial tires, and how the drivers had to adjust their driving approach on the road course. During the segment, ESPN’s camera man shoots Kernan through the center hole on a wheel in McDuffie’s pit. For the road courses, ESPN’s trackside reporting wasn’t limited to pit road. Lead announcer Bob Jenkins stood by himself in the infield booth while his two fellow play-by-play commentators stood at key passing zones. Next was Ned Jarrett, another former NASCAR champion turned broadcaster. “Gentleman Ned” had retired at the peak of his career in 1966, and in the decades that followed became a fixture on television and radio. The eldest member of the ESPN group, his was the quieter, more studied voice in the booth, breaking down the intricacies of a sport he’d seen change over three decades. Like Parsons, Jarrett was also a McDuffie supporter. In fact, one of the first cars the Sanford man drove, a 1963 Ford Fairlane, was given to him by Jarrett. The two struck up a friendship then, and no matter what network he worked for, Jarrett found time to meet and talk with McDuffie in the garage area. As ESPN went to commercial, the field came down pit road behind the black Ford F-150 pickup that would serve as the race’s “pace car.” A pit road speed limit was one of the latest rule changes for 1991. The sanctioning body’s hand was forced following a series of dangerous pit road accidents, culminating in the tragic death of Michael Ritch, who was struck by a spinning Ricky Rudd while changing Bill Elliott’s tires. NASCAR’s first proposal for the season-opening Daytona 500 didn’t involve a speed limit, but instead a ban on pit stops under caution. A blue or orange sticker with a big blue “1” or orange “2” was handed to each driver before the race. The sticker determined which of the first two green-flag laps after a caution their team could pit. Since the rule forced drivers to restart the race with worn tires, crashes and confusion ran rampant. It wasn’t until the seventh race of the season at the tiny North Wilkesboro Speedway that a pit road speed limit was introduced. The limit varied by track and the size of pit road. Watkins Glen’s was one of the slowest - just 35mph. 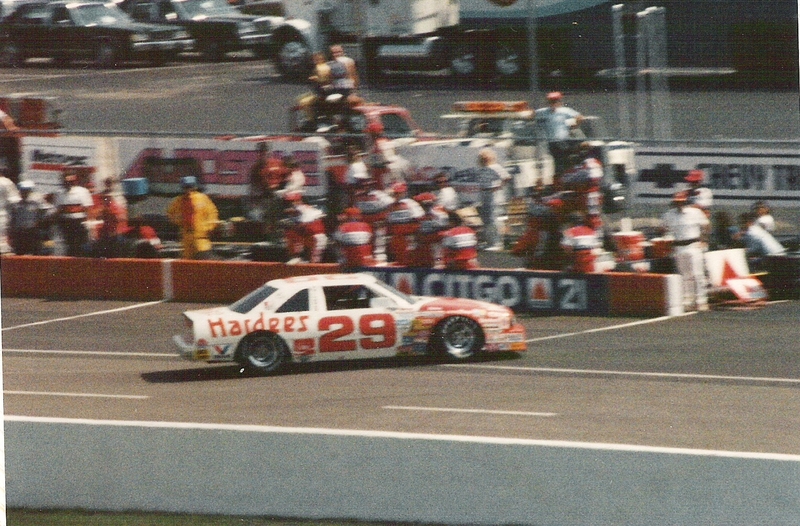 After the first pace lap, Davey Allison surrendered his 9th starting spot to make a pit stop. On top of his injured hand and rebuilt car, the throttle linkage on his Ford was now freezing up, making it difficult to slow the No. 28 on The Glen’s tight corners. Quick work by the Robert Yates Racing crew got him back on the track as the field lined up for the start. After two pace laps and ESPN’s run-through of the starting lineup, Terry Labonte and Mark Martin addressed the starter’s stand for a rolling start. At that moment, Allison was running last in Turn 9, trying to catch the field as it drew away from him. Flagman Doyle Ford waved the green, and the Budweiser at The Glen was underway. As the field accelerated across the starting line, the leaders spread out four and five wide from 3rd on back. On the inside, closest to the pit road wall, Wally Dallenbach, Jr. looked to make a move on Ernie Irvan, and was himself throwing a block on Dorsey Schroeder. To the outside, Mark Martin had Geoff Bodine and Ken Schrader to contend with. All of them followed Terry Labonte into “The Ninety” at Turn 1. The leaders came off the corner two-abreast, then funneled down to single file trailing Labonte on the uphill march through “The Esses” of Turns 2, 3, and 4. 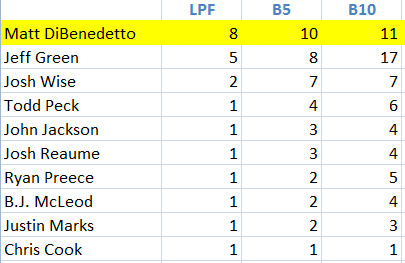 Already, Labonte and Martin began to gap themselves from the rest of the field. Meanwhile, at the back, six cars had already started to lose touch with the rest of the starters. The group was led by 40th-place starter Michael Waltrip, who by the exit of Turn 1 had already drawn to the inside of McDuffie in a battle for 34th. Five carlengths behind McDuffie was Jim Derhaag’s No. 54 with fellow “road ringer” Kim Campbell behind him in the No. 20 NAPA Oldsmobile. Two carlengths behind 37th-place Campbell was the red No. 13 Buick of Oma Kimbrough. 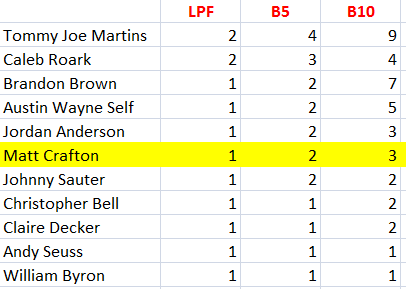 In the first five laps, the trailing Davey Allison would catch and pass them all, climbing all the way to the 28th position. The first car he caught trailed this six-car pack by over two seconds: the No. 71 of Dave Marcis. 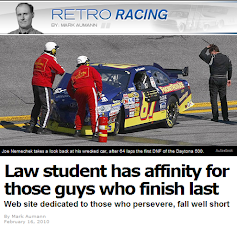 Prior to the start, Marcis had voluntarily surrendered his 20th-place starting spot and joined Michael Waltrip at the rear of the field. 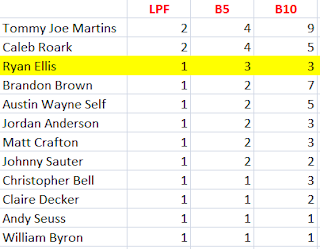 By the end of Lap 1, Marcis’s Darlington car had lost so much time to the rest of the field that he was completely by himself, his Chevrolet so slow in Turns 1 and 2 that it seemed to have lost an engine. In reality, Marcis’ transmission wasn’t designed for the frequent gear-shifting of road course racing. Trying to do so resulted in a terrible vibration. To avoid losing another car with eleven races still to go in 1991, Marcis planned to pull out in the early laps. Failing another on-track incident, the result would be Marcis’ first last-place finish in more than two years. On Lap 3, Irv Hoerr’s experimental Oldsmobile was running in 15th. His 13th-place starting spot was a promising start to the weekend, but things had already taken a turn. Heading through Turns 2 and 3 on the third lap, his blue-and-silver No. 44 Oldsmobile started trailing white smoke from behind the left-front wheel. Slight damage to the upper part of the front valence seemed to point to an overheating problem, but Hoerr later reported it was an oil leak “getting on the blowers.” The smoke worsened as Hoerr slowed on Lap 4, the leaders maneuvering around him down the backstretch to put him a lap down. Pit road was still more than a mile away. When Hoerr’s car started smoking, J.D. McDuffie had just been passed by Allison, moving him back to 37th. Heading through the Esses, No. 70 trailed Allison’s No. 28 by a full second, allowing Derhaag to close his No. 54 Oldsmobile to McDuffie’s rear bumper. For the next two laps, Derhaag pondered a move around the burgundy Pontiac. As the two sailed down the backstretch on Lap 5, McDuffie moved to the middle of the track, sizing up a car in front of him. Derhaag saw an opening to pass on the inside. A risky move, but possible. Whoever braked last and caught traction first would get the spot. But right when Derhaag was about to turn right and make a pass, something stopped him. “I don’t mean to sound goofy,” said Derhaag, “but it’s always like I’ve had this little angel on my shoulder telling me what to do and what not to do. Something just didn’t look right.” So he backed off. Then he spotted smoke coming from the left side of McDuffie’s car. That same lap, ESPN’s broadcast held on the roof camera of Dale Jarrett’s No. 21 Citgo Ford, which ran just outside the Top 10. Bob Jenkins relayed the real-time data from the computerized telemetry box displayed on the lower-right of the screen. Jarrett’s top speed came on the backstretch - 174 mph - then slowed to 86 at corner apex. Jarrett accelerated into in Turn 6 and slipped at corner exit, losing a spot to Brett Bodine’s No. 26 Quaker State Buick. Then his father Ned broke in. As Bryan Clauson’s tragic death reminds us, racing is a dangerous sport. It takes both tremendous bravery and skill to climb behind the wheel, knowing that risk is there, and that others have lost their lives in competition. J.D. 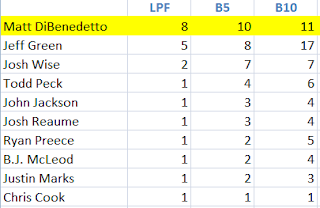 McDuffie was another of these drivers. The preceding is an excerpt from a book I am writing about McDuffie, the last of NASCAR’s independents, who 25 years ago today lost his life in a crash at Watkins Glen. The book will focus not only on his final race, but the entirety of his racing career, including new details never before published. 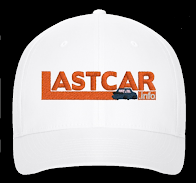 Since our interview with McDuffie Racing crewman Marty Burke in 2011, LASTCAR.info has been compiling more research and conducting additional interviews. A first draft is nearly complete, but I want to collect even more material to make this book the best it can be. 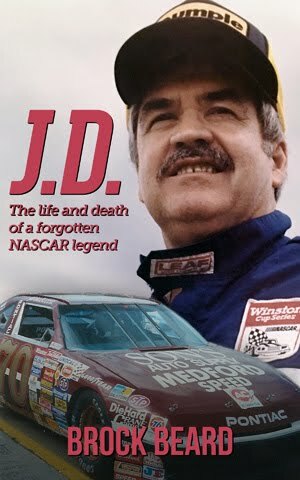 If you would like to be a part of this project, particularly if you knew or were a fan of J.D., or were at Watkins Glen that day in 1991, please contact me by E-Mail at brockbeard@gmail.com. More details about the book and its release date will be available when ready. 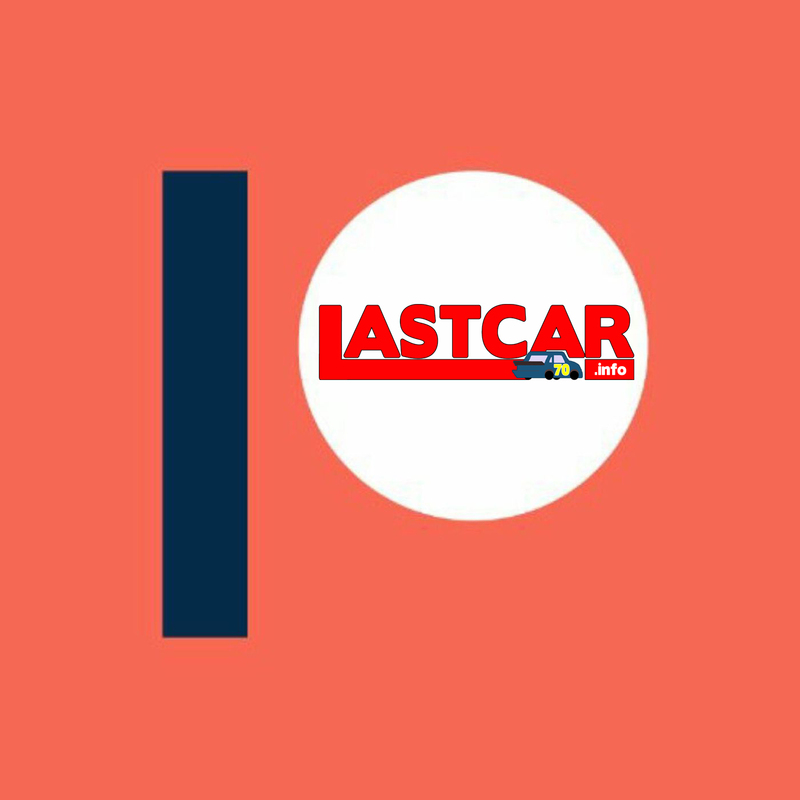 Stay tuned to LASTCAR.info and my Twitter feed @LASTCARonBROCK for more details. UPDATE (March 27, 2017): This book is now set for a July 15, 2018 release through Waldorf Publishing. More details here.